WOD: Teams of 4 (similar strength recommended). 24 suicide sprints (6 Per person). 250 DB bench press (partition reps as needed). 6 rounds. Rest as needed between rounds. AMRAP DB bench press (15+ round 1). 45 seconds max effort assault bike or row. 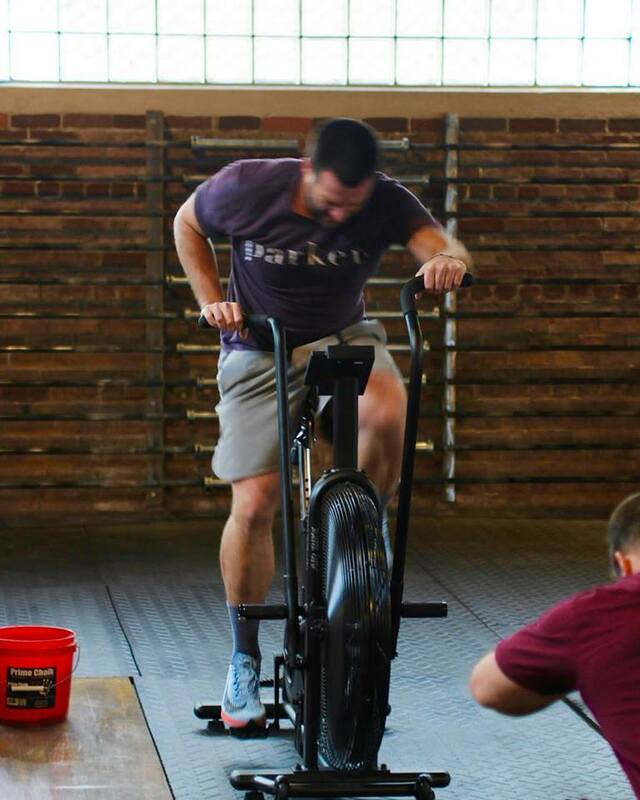 Go to failure on the bench and then immediately transition to the row or bike for 45 seconds max effort. Score is total reps and total cals. Teams of 4 (similar strength recommended). 24 suicide relay runs (each person must run 6x). DB bench press x 250 reps (partition as needed). Conditioning: 7 min max distance run, row, ski, or bike (users choice!) - as many meters as possible in 7 min. Few minutes rest between rounds. DB bench press X max reps (adjust weight so you get more than 12 reps but less than 25). Pull-up X max reps (scale up to CTB or scale down to strict ring rows). Heavy AF DB bent over row x 10 per side. Scaled = diamond push-ups or dips on bench/tire.